Haridwar is a major pilgrim destination as well as tourist destination in Uttarakhand. It is one of the seven holiest places to visit for Hindus. Nestled on the banks of River Ganges, Haridwar is widely known as Panch Tirth and the three Siddha Peetha. 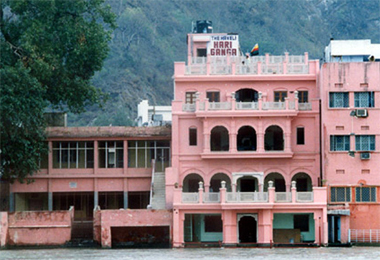 Haridwar has many tourist destinations such as Har-ki-Pauri, Maya Devi Temple, Bharat Mata Temple and Mansa Devi Temple. The best time to visit Haridwar is from April to October. There are many places to stay in Haridwar depending upon your budget. Hotels, lodges, guesthouses and Dharamshala are among others. 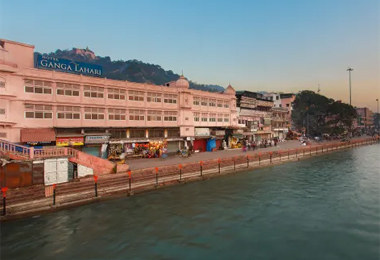 When it comes to hotels, heritage Hotels in Haridwar will take you down through a memory lane to the rule of the Maharaja of Tehri Garhwal and royal families of Haridwar. These hotels offer a perfect blend of age-old traditions and rituals of Hindus at its best. Besides, these hotels are fully decked with modern comforts and certainly treat you with traditional hospitality.